For the first time, musicians can control what gets looped, and when — all within the familiar DAW timeline paradigm. Instead of an error-prone series of pedal presses, ALK2 Sequenced Looper empowers the musician to concentrate on their music, and let the software take care of the operational details. During a gig, the ALK2 Sequenced Looper follows the arrangement you rehearsed, pressing the necessary virtual pedals to arm channels, trigger effects, record and play loops at the right time — allowing the musician to focus on the performance, rather than on a pedal. Clips are recorded live and looped to create layers of sound, like a traditional looper, but, like in a sequencer, the loops can be drawn, moved, copied, cut and pasted in a musical arrangement. ALK2 boasts many innovative features – all packed into an attractive and intuitive user interface. 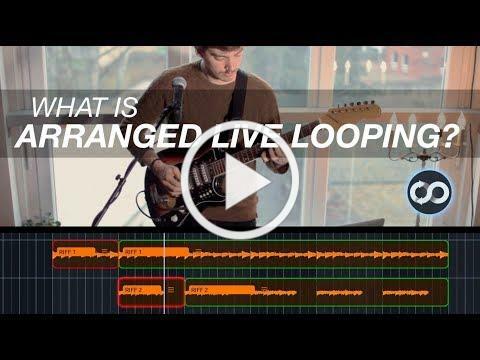 With traditional loopers, it’s easy to get caught in an endless stacks of loops that go nowhere, and eventually collapse under their own sheer weight and tedium. Using ALK2, you can create dextrous transitions between different chord changes and musical sections, keeping your tracks light, fresh, and engaging throughout. zenAud.io ALK2 runs on macOS 10.10 (Yosemite) or higher, on any Mac. zenAud.io’s team is comprised of programmers and designers who are also musicians — and like playing guitars as much using computers and synths. After re-forming his band with a reduced line-up and an army of loopers, zenAud.io founder Martin Percossi realized in one fateful rehearsal-turned-debugging session that the biggest obstacle to his creativity was the software itself. He sensed an opportunity and created a looper that fit with his structured approach to songwriting: ALK2.